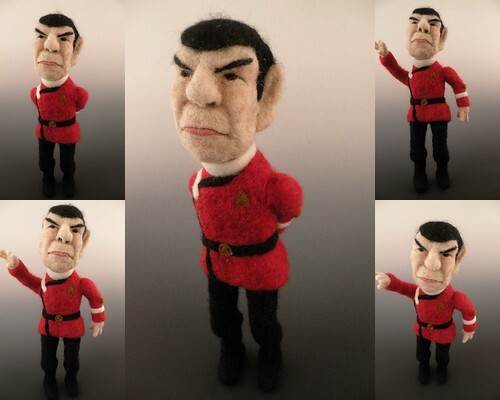 Admiral Spock - Needle Felted, originally uploaded by feltalive. He was quite fun! Those eyebrows and hair were fun but it was the mouth that was so crucial to get right. I'm in love with my Li'l Spock! To find you had already created him! This is too amazing! Hallo :) Your Spock is so great! and so is the rest of your work too !! !